It's not too late to enter Dezeen Awards. You have three days until the entry deadline on Saturday 30 June to enter your studio and projects for our inaugural awards. If you have been in business for ten years or less, you can enter into our emerging architect, emerging interior designer, and emerging designer of the year categories. As well as our studio categories, you can also enter into our 24 project and product categories, all across the sectors of architecture, interiors and design – the main areas that Dezeen reports on. Three awards will be given for the best overall project in architecture, interiors and design. These winners together with the winners in each of the studio categories make up part of the Ultimate Dezeen Awards, a top tier that will honour the most outstanding design talent of the year. 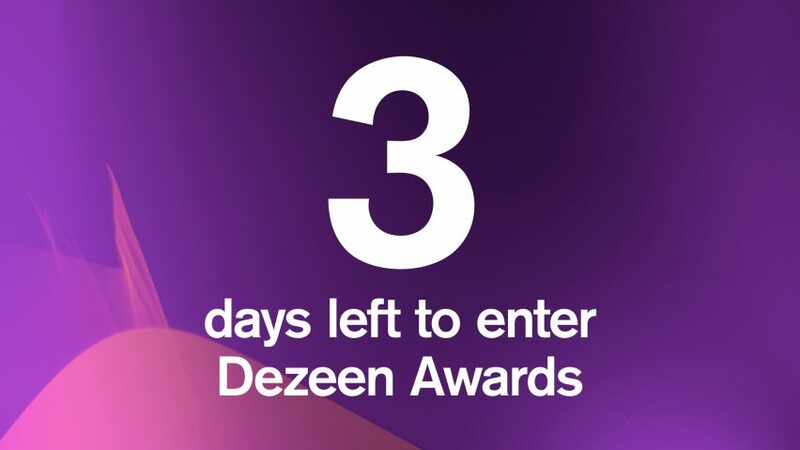 Dezeen Awards are one of the most affordable in design and architecture, and are judged by a panel of 75 extremely high-profile judges. There's no excuse not to enter!